I am super excited this morning – like a little kid. 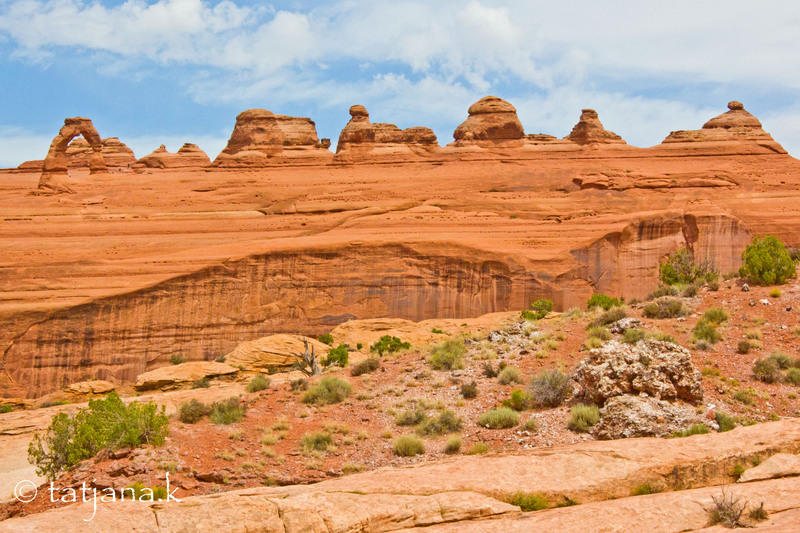 Today we are going to Arches National Park, which is kind of the reason why we are driving all the way out here. 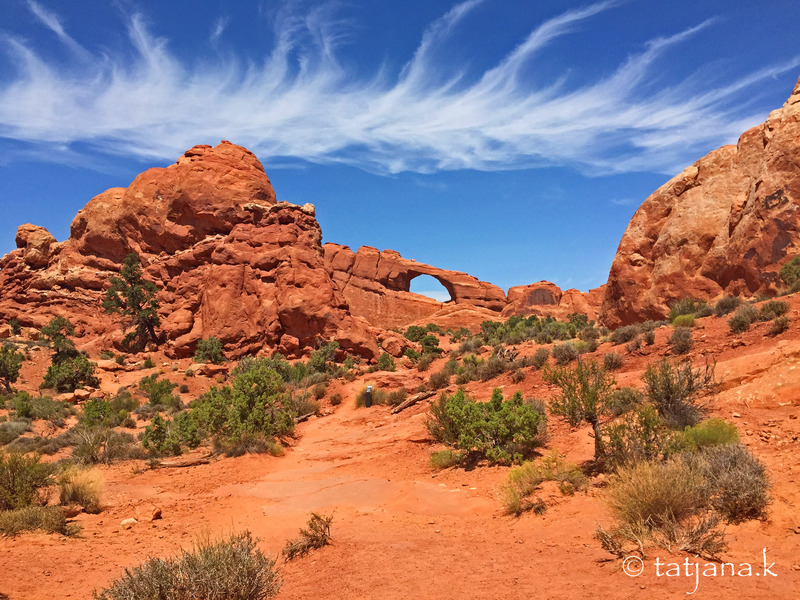 I have seen amazing photos of the Arches and wanted to see them in person, so now I am on my way. YEAH! Our first stop is Park Avenue. No arches yet. 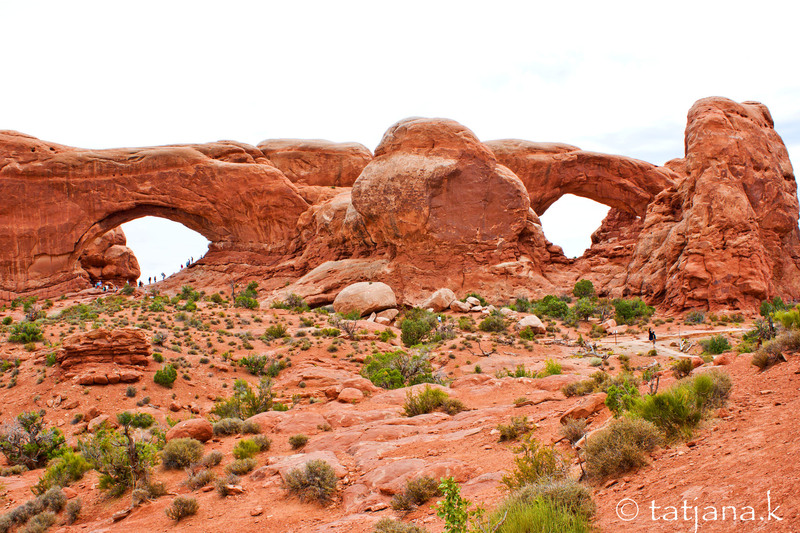 Then we pass by the Balanced Rock and head over to the South Window, North Window and Turret Arch. This is where everyone in the park seems to hang out. These are also the views that we all have seen on photos before. Despite the crowds, let’s just go and check this out. It’s really impressive! 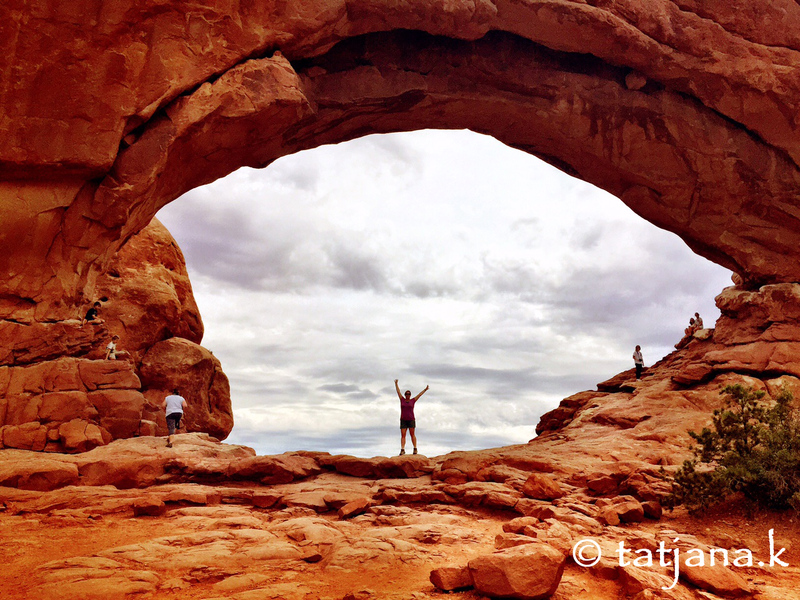 Arches National Park – OK, these are big arches! We actually spend about an hour here. So many photos to be taken. 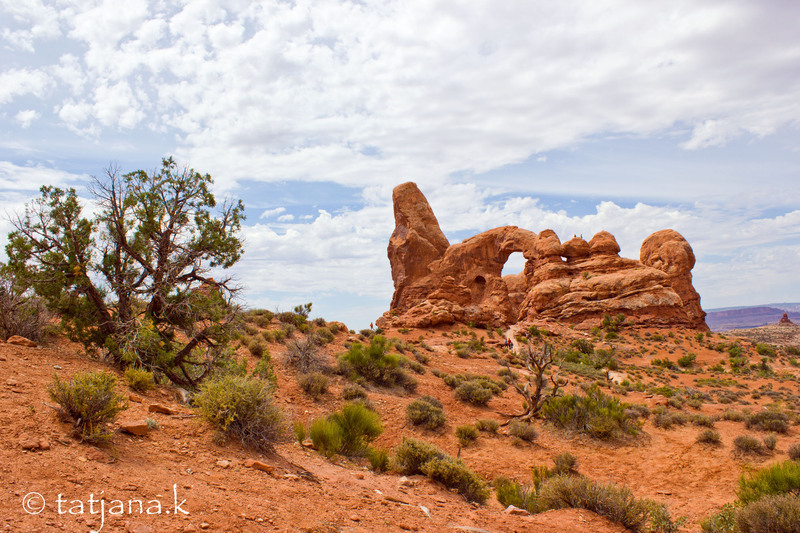 Then we move on to Delicate Arch. Now, let me tell you, those postcards that you received? They aren’t what you see. Delicate Arch is a long way off the trail and you are not supposed to hike much closer (it’s delicate after all). Our final stop at Arches National Park is Skyline Arch, which I just love (or maybe it’s the weird cloud that just formed here or maybe it’s me thinking “will it slide off?”). Well, you may think, we have seen a lot for the day, time to check out yet another brewery. But we are just getting started. 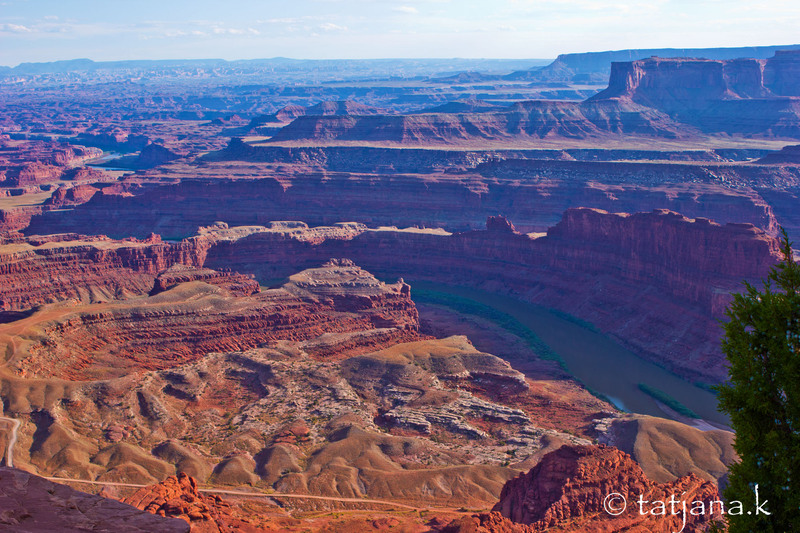 Our next stop is Dead Horse Point State Park. The views here into the canyon are drop dead gorgeous. We are also arriving late afternoon, so the sun sits perfectly. But see for yourself. 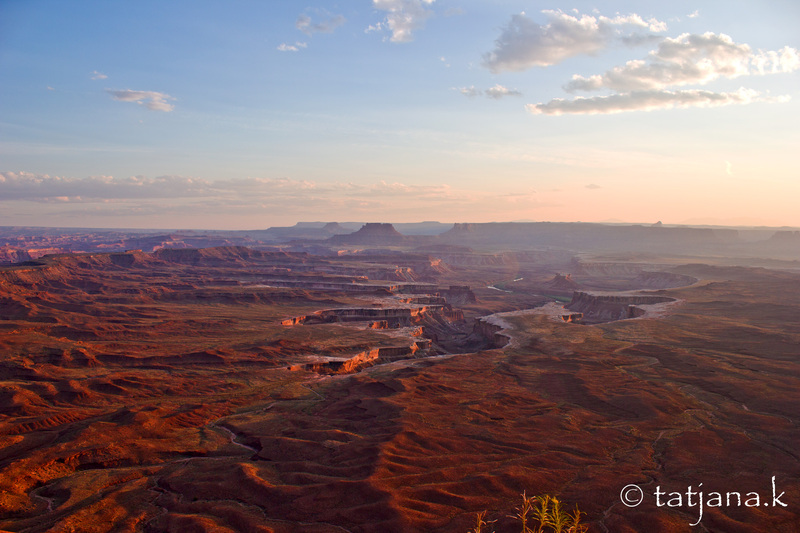 From Dead Horse Point State Park we can see across to Canyonlands National Park and that’s where we are heading now for sunset. 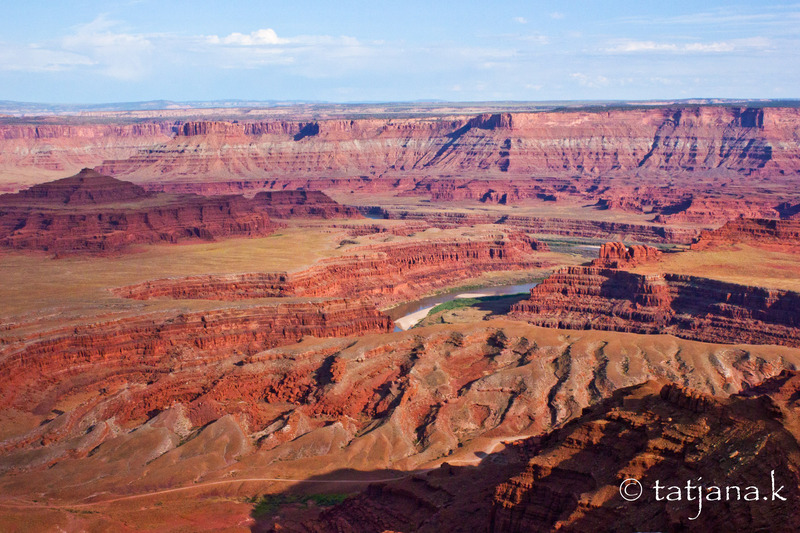 The Green River Overlook is a great spot not too far into the park. Was I promising too much? Isn’t this amazingly beautiful? Nature unspoiled just does it perfectly. Good night, y’all. 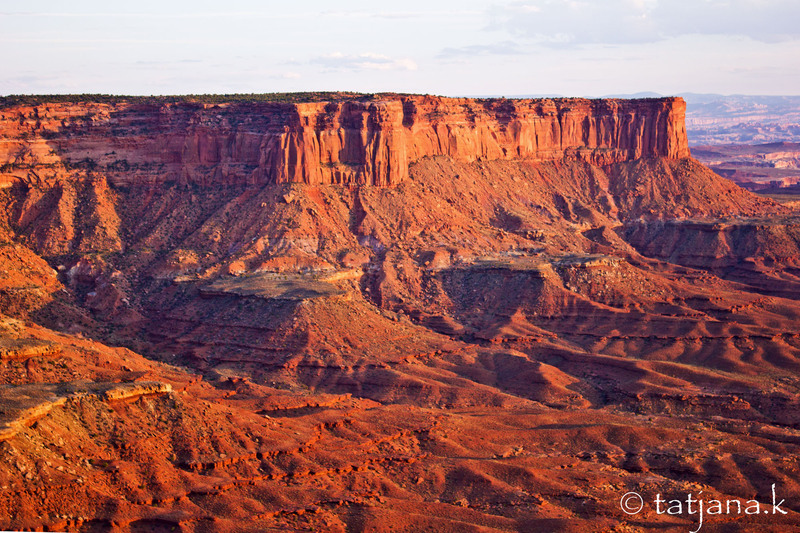 This entry was posted in USA Travel and tagged arches national park, canyonlands national park, dead horse point state park, road trip, travel.